Fans wanting to experience watching Star Wars: The Last Jedi in the comfort of their own homes may want to circle the date March 27th on their calendars. That is the day that The Digital Bits is reporting that the film will be released on Blu-ray, 4K Ultra HD, and DVD. This would make the release of the film on home media slightly earlier (by about a week) than The Force Awakens and Rogue One, which were both released in the first week of April. 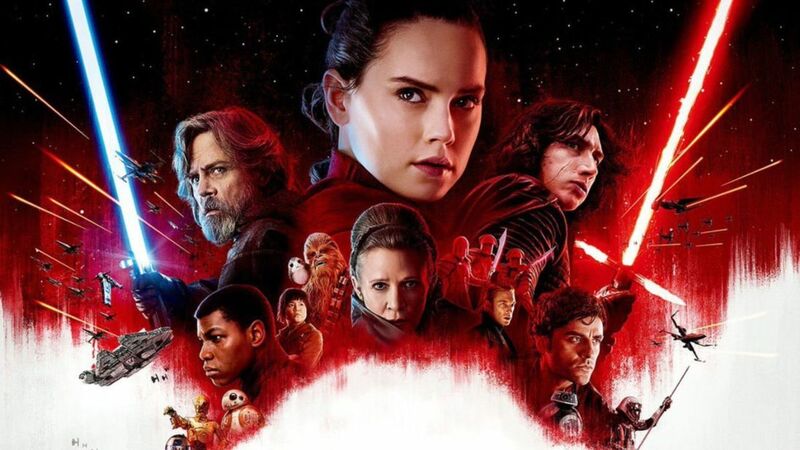 Both of The Last Jedi's predecessors in the past two years were also released digitally before they were released on physical media, a pattern that is likely to continue this year. One thing fans can expect on the film's blu-ray release is twenty minutes of deleted scenes. Director Rian Johnson revealed this during a recent interview, and details about some of those scenes can be found here. Johnson also shared on Instagram, before the film's release in theaters, that he had recorded a director's commentary for the film. However, there is no guarantee that Johnson's commentary track will be included on the rumored March 27th release. With The Force Awakens, the director's commentary by JJ Abrams was not released on the film's initial blu-ray release but rather with the film's 3D blu-ray release several months later. It's not clear yet if The Last Jedi will follow the same pattern. Rogue One did not have a separate 3D blu-ray release (it came out at the same time as the standard blu-ray), however it did not have a director's commentary either. Star Wars: The Last Jedi is in theaters now!